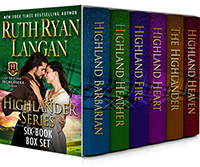 Ruth Ryan Langan's Exciting Highlander Series, including all six full-length novels. Lindsay Douglas routinely scavenges Highland battlefields in search of articles she can barter to feed her impoverished family. On one such foray she comes upon a warrior more dead than alive. Under her tender care Morgan MacLaren not only survives, but loses his heart. Her family rejoices, and despite bitter circumstances, hope for a better future blooms in all their hearts. Without warning, Morgan is summoned home, and the message he leaves behind is partially burned, leaving Lindsay and her family to face a bleak future. To save her family, Lindsay agrees to marry a wealthy man in her village known to be a cruel taskmaster. The ceremony will take place at a midnight service on the eve of Christmas. 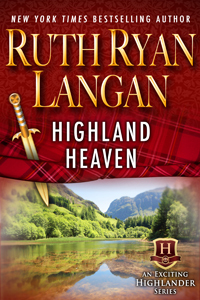 Can a noble knight, now laird of the land, overcome impossible odds to write their happy ending? 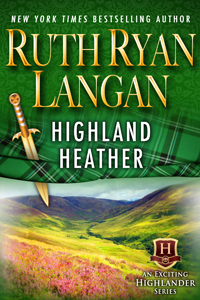 Meredith MacAlpin, Scottish noblewoman, is kidnapped at the altar by infamous Highland Barbarian, Brice Campbell, and spirited away to his fortress in the Highlands. It is rumored that he is the one who has killed her people in a series of raids. Brice Campbell is desperate to prove his innocence and bring peace to his people, but when he kills the wrong man, his enemy vows revenge. Can enemies become lovers? Is love strong enough to defy even death? 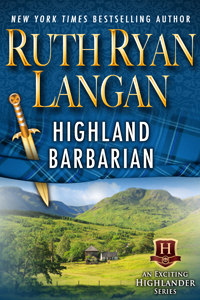 Brenna MacAlpin is leader of her clan, and a powerful woman in Scotland, but when she faces Morgan Grey, known throughout her land as The Queen's Savage, a fierce English warrior who rides in defense of his queen, she is willing to fight him to the death. Morgan Grey is forced to act on his queen's scheme to unite the families through marriage, even though his unwilling partner would rather plant a knife in his back than give in to these unsettling feelings she is experiencing in his arms. Fierce Irish warrior Kieran O'Mara is a man on the run from an English prison. 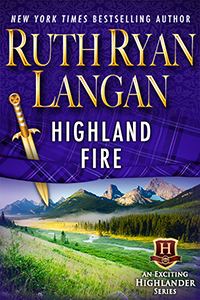 Beautiful Highland firebrand Megan MacAlpin sustains a serious head wound while fighting off a band of armed soldiers, and suffers the loss of her memory. Unwilling to leave this female in harm's way, Kieran must take her on a perilous journey across the Channel to his homeland. 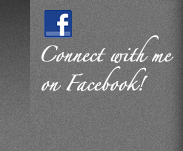 Along the way, these two face grave danger, and discover a deep and abiding love. But will the return of her memory and her duties to her clan cause her to turn away from the only man who has ever touched her heart? Jamie MacDonald, a fierce warrior known throughout the Highlands as the Heartless MacDonald, searches for a traitor among the feuding clans. 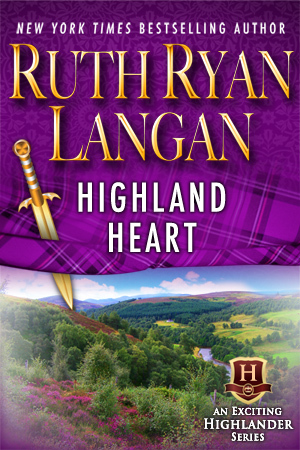 Lindsey Gordon, proud, willful daughter of a noble clan chieftain, is the only woman who can reach this warrior's carefully-concealed heart. Leonora Waltham is the key to saving Dillon Campbell's younger brothers. But when this giant Highland savage captures her, she proves to be his match in strength-of-will and cunning. When the fine line between love and hate is crossed, who is the captor and who the captive? Shaw Campbell storms his enemy's camp to free his twin brother. Merritt Lamont will use whatever means necessary to see to the safety of her clan. 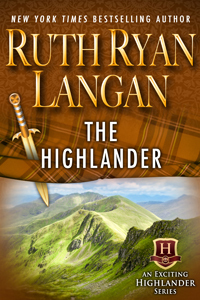 Though there have been few men she could trust, she sees something in the eyes of this Highlander that speaks to her troubled heart.